Dire news piled up on the UK High Street today as Carpetright admitted it will have to close some of its 470 UK stores and New Look will axe 60 shops. Thousands of jobs are under threat after the floorings retailer confirmed reports that it was 'exploring' a company voluntary arrangement to keep the business afloat. If successful, the move would allow it to close loss-making shops and secure discounts on rental costs. Carpetright would also ask investors for between £40million and £60million via an equity issue to fund plans to reboot the business and drive down debt. The group, which has 409 UK shops, also agreed a £12.5million unsecured loan from major shareholder Meditor to help with 'short-term working capital requirements'. Meanwhile, New Look has agreed a restructuring plan with creditors that will see it shut 60 stores, resulting in the loss to 980 jobs. It comes as shares in Moss Bros and B&Q's owner Kingfisher also plunged after they revealed poor sales and the owner of Claire's Accessories filed for bankruptcy in the US.B&Q owner Kingfisher revealed that annual profits had tumbled more than 10 per cent and warned of an 'uncertain' UK outlook after a recent hit to sales. The group said B&Q like-for-like sales slumped 5.1 per cent in the final three months of its year. At its better-performing Screwfix arm, sales growth slowed to 7.1 per cent amid falling demand for so-called 'big ticket' ranges such as kitchens. 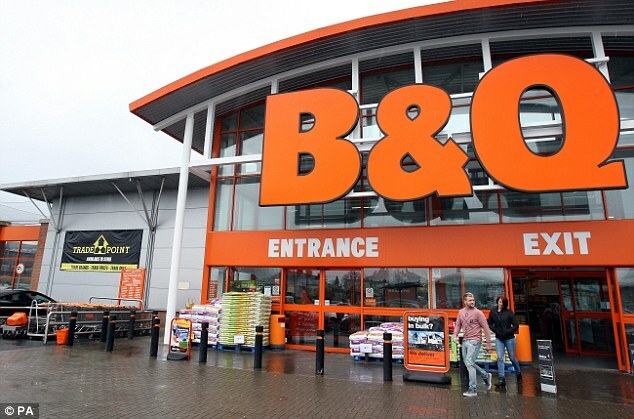 B&Q is in the middle of an overhaul, which has seen it shut 65 shops and slash around 3,000 jobs in the UK and Ireland over the last two years. Shares in Kingfisher fell 8 per cent to 311.2p. 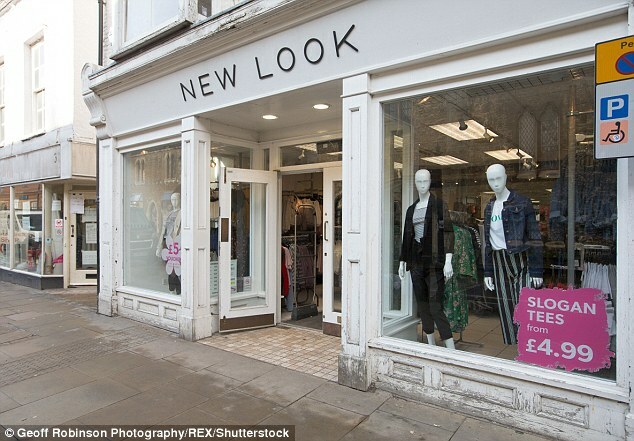 It comes after struggling fashion chain New Look posted a pre-tax loss of £123.5million in the three quarters to December. 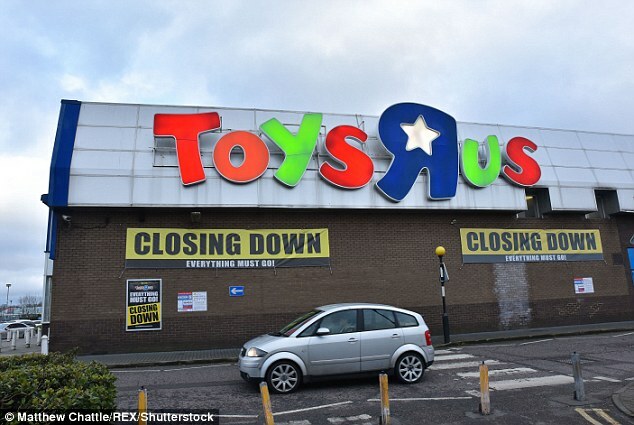 And Toys R Us said last week that it was going to close all 100 of its UK stores after administrators failed to find a buyer - resulting in the loss of 3,000 jobs. 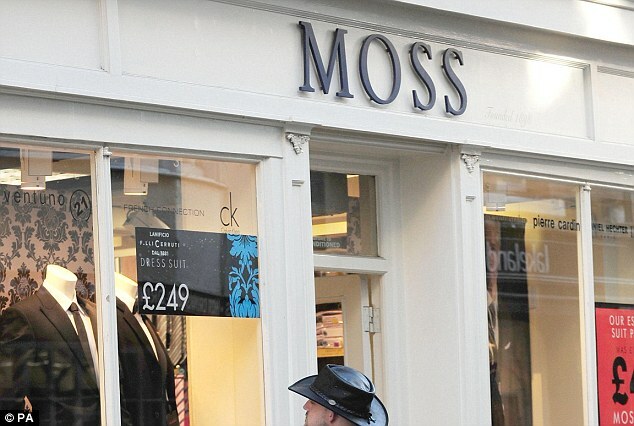 Meanwhile, a profit warning emerged from suit tailoring retailer Moss Bros that sent its shares crashing on the open of stock market trading. It said sales had suffered a triple whammy from stock shortages, low footfall and sluggish suit hire demand, and that meant profits would be 'materially lower' than current market expectations for the year to January 26 2019. Shares recovered from a fall of nearly 30 per cent to stand 18 per cent down at 48.1p, with traders also noting that it had slashed its full-year dividend by 32 per cent to 4p to ensure it could make future payments to shareholders. It marks the second profit warning issued by the firm since the start of the year after it endured a 'very tough' December. 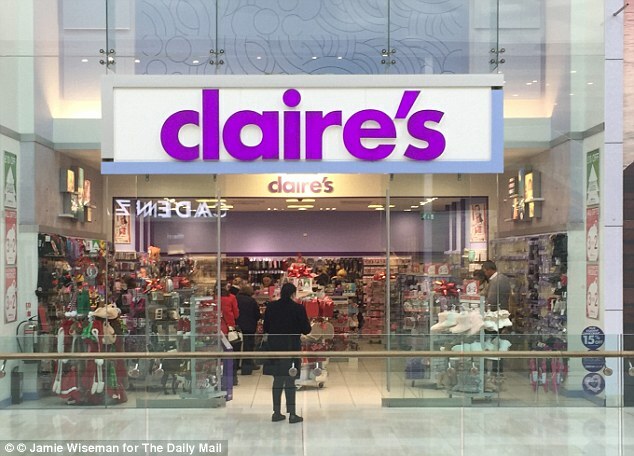 The US company behind Claire's Accessories has filed for bankruptcy protection as part of a move to reduce its debt by $1.9billion (£1.3billion). Claire's Stores said its shops, including 378 in the UK, will remain open as it presses ahead with a financial restructure. It will see lenders including Elliott Management and Monarch Alternative Capital inject $575million of fresh cash into the group. Claire's is owned by private equity firm Apollo Global Management, which paid $3.1billion for the company in 2007. Struggling Mothercare meanwhile has called in accountants to advise on crunch talks with lenders and stave off collapse. 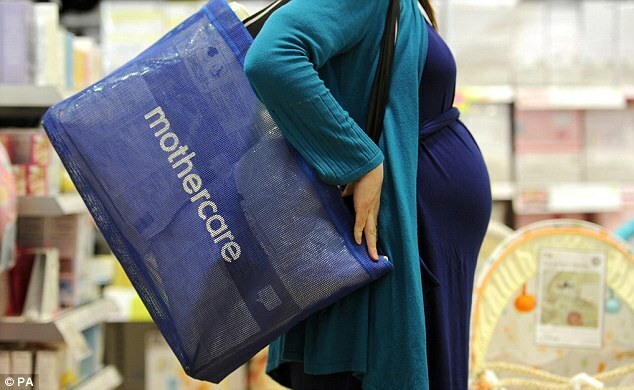 The mother-and-baby retailer has appointed KPMG to help it obtain waivers for loan agreements with banking lenders HSBC and Barclays. Since the start of the year, its share price has plunged more than 76 per cent as it was hammered by two profit warnings. He said: 'I am pleased that we have secured this additional support from one of our major shareholders as we continue to explore the feasibility of a CVA and a conditional equity issue. 'These further cash resources will enable us to make the necessary decisions free from short-term funding pressure. Kingfisher chief executive Veronique Laury said: 'Our performance this year has been mixed, however, with solid growth at Screwfix and Poland offset by continued weaker sales in France and some business disruption, principally reflecting product availability and clearance. Moss Bros chief executive Brian Brick said the retailer was taking action early to protect the 'underlying strength' of the business, as it faces up to a 'very challenging' year ahead. He said: 'The beginning of the year has been hampered by short-term stock delivery issues caused by the consolidation of our supplier base. 'The resulting stock shortage has undoubtedly driven a significant shortfall in sales, which will continue until late spring. 'Although this has been a painful experience, I am confident that the availability issues are well on track to being resolved and the margin benefits from the consolidation will flow through. 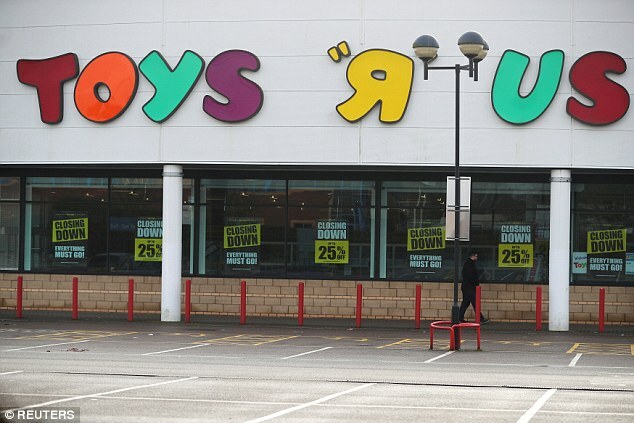 Toys R Us is to shut all 100 of its UK stores after administrators failed to find a buyer for the collapsed retailer - resulting in the loss of 3,000 jobs. The chain was plunged into liquidation in January after failing to pay a £15million VAT bill and it put jobs across the country at risk. It appointed Moorfields Advisory to oversee an administration at the end of February after the firm failed to find a last-minute rescuer. But on Wednesday last week, staff were told that no buyer has been found for the retailer and added that all of its British stores will close. A total of 67 staff at the company's head office in Maidenhead have now been made redundant. Simon Thomas, joint administrator and partner at Moorfields, said: 'We have made every effort to secure a buyer for all or part of the company's business. 'This process attracted some interest, but ultimately no party has been able to move forward with a formal bid prior to the expiration of the stated deadline. Fans of the store were distraught this afternoon after learning it would be shutting all of its stores. Many took to social media to relive their childhood memories and one person created a poignant GIF showing Geoffrey the giraffe looking out into the sunset with a child. Hundreds also took to Twitter to voice their disappointment and devastation with many commenting on how the store was 'the most exciting place' as a child. It is believed that Moorfields will now begin a six week 'wind down' of the store estate. Moorfields said at the time of the chain's collapse that it is making 'every effort' to secure a buyer for all or part of the business. However, it added that no suitor materialised in what is proving to be a dire time for high street retailers. 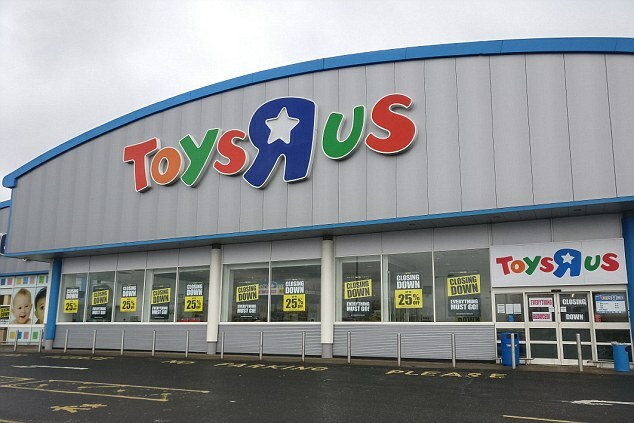 Professor Heiner Evanschitzky, co-director of Aston Centre for Retail Insights based at Aston Business School, said: 'A key problem for Toys R Us was a lack of clear focus: is it a big box discount store for toys, a store with a vast assortment of toys, a leader in quality and service?